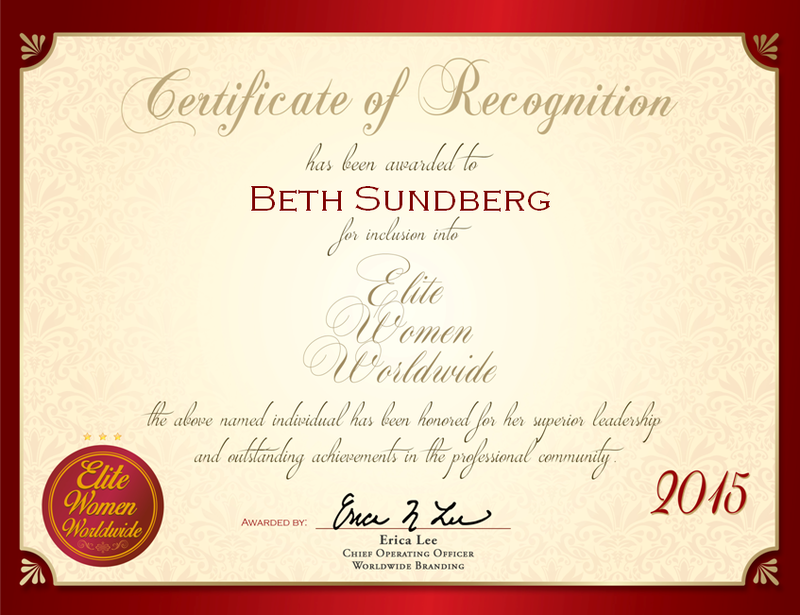 Grafton, ND, December 1, 2015, Elizebeth Ann Sundberg, Owner of Beth’s Home Cookin’, has been recognized by Elite Women Worldwide, for dedication, achievement and leadership in gourmet catering. 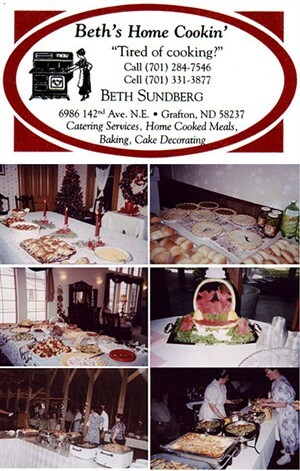 For more than 25 years, Ms. Sundberg has served up gourmet dishes for clients. Catering to a repertoire of events such as weddings, corporate events, private parties, luncheons and more, Ms. Sundberg sees no event too small or too large to lend her culinary prowess. She became hooked to cooking at the age of eight, when she cooked her first dinner. Little did she know that it would be an accomplishment that would change her life forever. Answering the call of her local community to share her talents, Ms. Sundberg soon started her catering business. As the owner of Beth’s Home Cookin’, Ms. Sundberg does more than serve up delicious delicacies; she also meets with clients and hires staff. 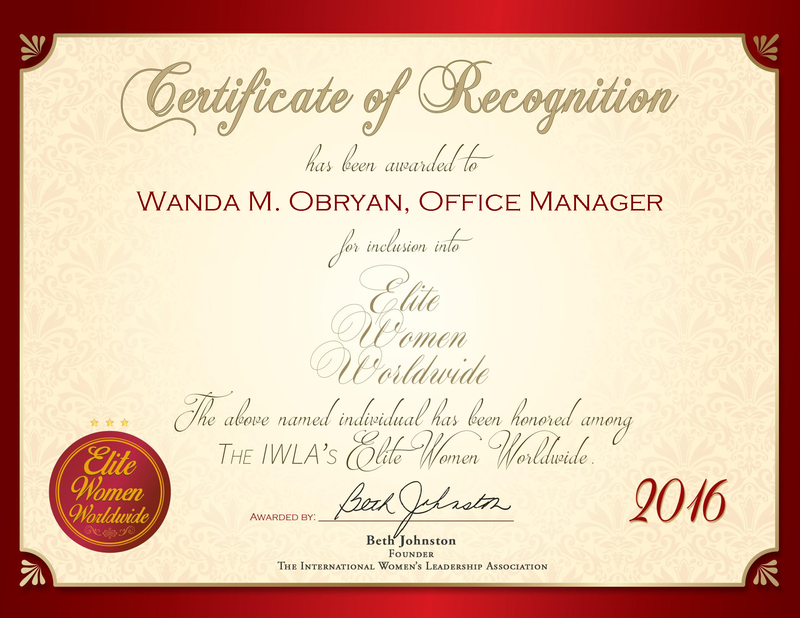 She specializes in concocting new recipes, especially salads and desserts. Ms. Sundberg keeps up to date in the culinary industry with Cooking Club of America. She looks forward to the coming years which she plans to continue catering and making peoples events even more special and delicious.